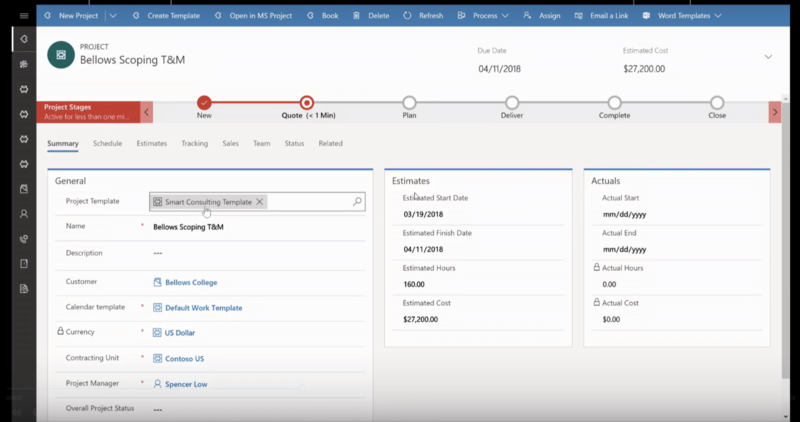 Microsoft released a video of the Business Applications Spring 2018 Release a while back. 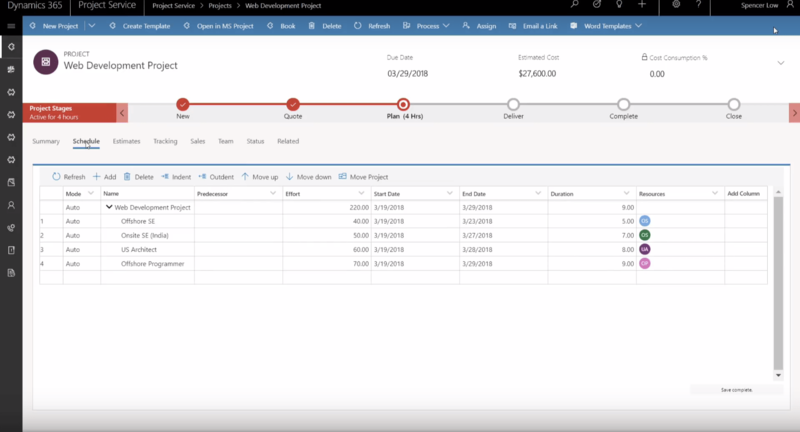 The final 24 or so minutes of this 1 h and 6 min long video include a very nice part about version 3 of Dynamics 365 Project Service Automation by Elliott Ichimura and Rupa Mantravadi as they go over the new features of V3 through a demo. Quick eyes catch the new features and improvements but if you’re fairly new to PSA, some nuances might escape you. Let’s summarize the video in 10 points. You can find this official video, released by Microsoft, at the bottom of this post. The reality is that both PSA and Field Service will indeed be apps leveraring the Unified Client Interface. Bye bye to the traditional web client! The UCI is really fast and smooth on the video. Especially the Schedule load times are impressive! 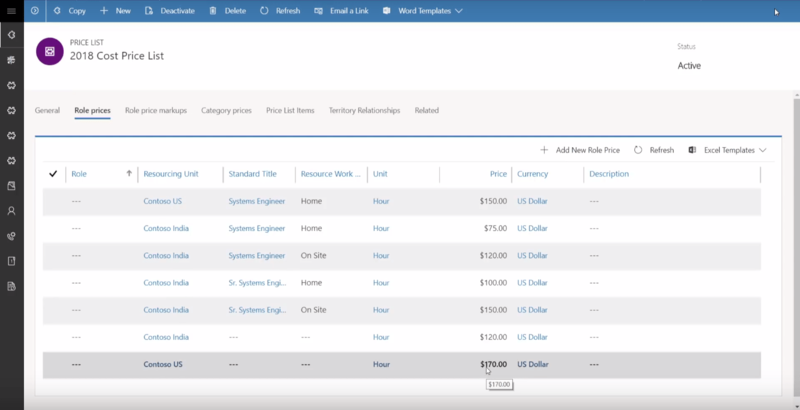 Pricing dimensions can added by customizing Dynamics 365 Customer Engagement to affect sales and cost prices based on desired variables. 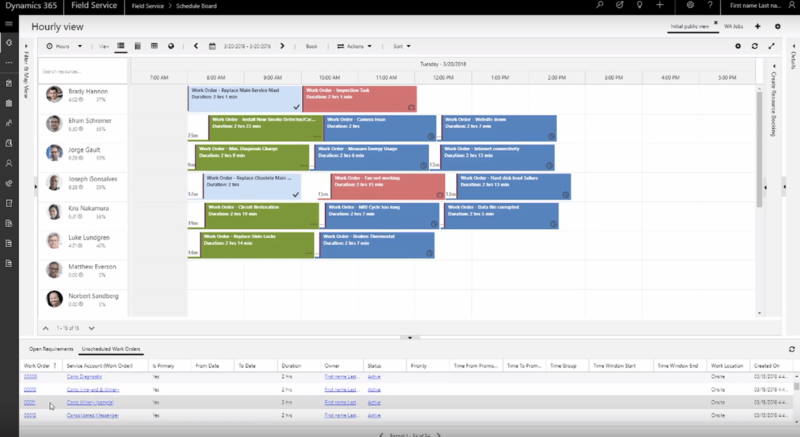 The “calendar view” is deprecated. Time and Expense entries are now done using regular customizable forms. 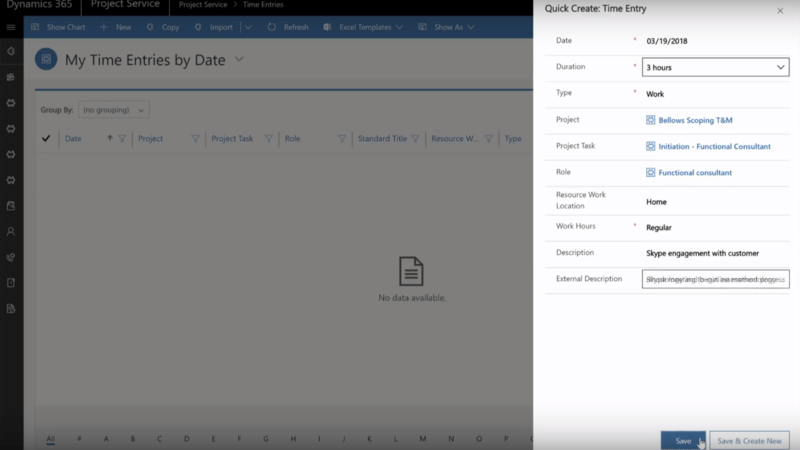 If you have used the Project Resource Hub in 9.0 then you are familiar with the experience. 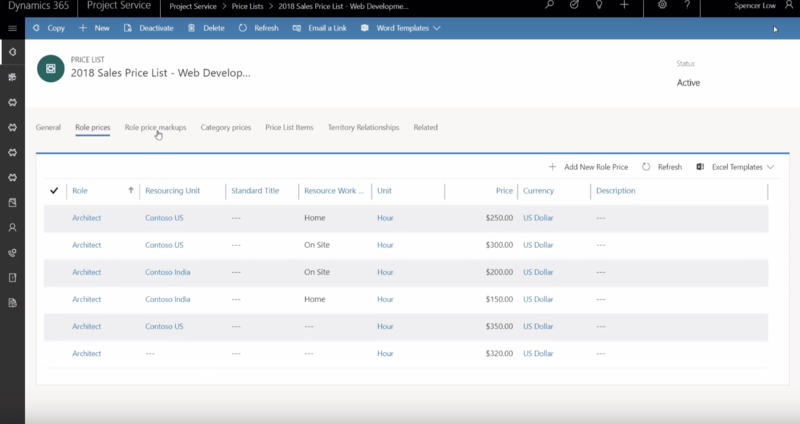 See the custom Resource Work Location and Work Hours fields that leverage multidimensional pricing? The old hard coded Work Breakdown Structure is no more. We now have a Schedule. The hard coded Chargeability View used to set Project Contract specific pricing (yes, Project Contract, not Project) is also out. 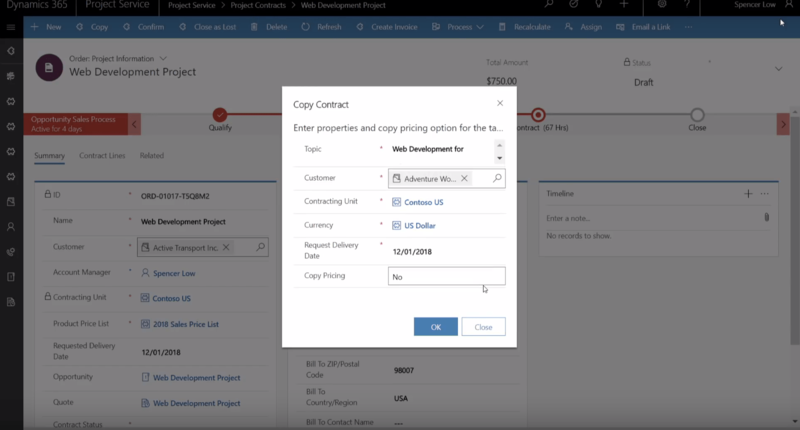 Instead changes made to a Project Contract’s pricing are made directly to the Order Project Price List. 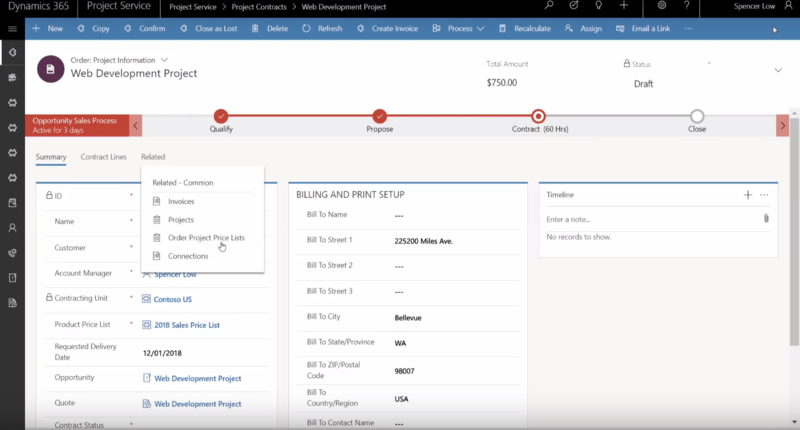 Copying Quotes and Project Contracts is now possible. This will speed up setting these records if they should be based on existing ones. Project managers can assign named or generic resources to project tasks without a prior booking. This will give more flexibility to resourcing. So long Generate Project Team button. URS has also landed on the UCI. 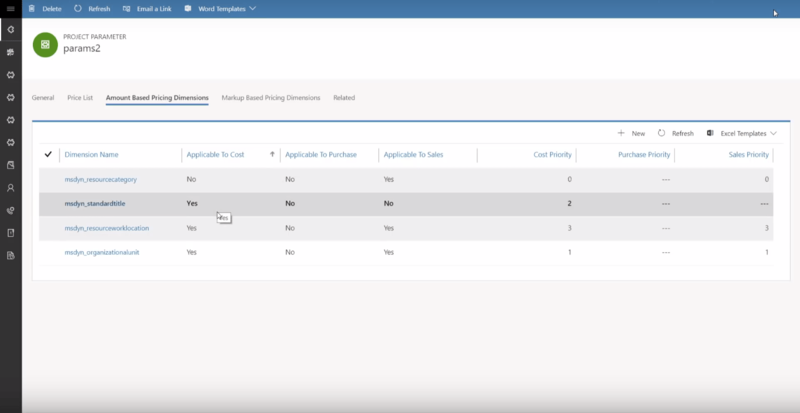 This will allow organizations to leverage its power using the Unified Client Interface. This isn’t everything. Sign up for the Private Preview to gain access to V3 and to test out what’s coming! This blog post reflects my personal findings which are based solely on the video and Spring ’18 Release Notes released by Microsoft.